An amusing anecdote from Australia. My daughters and I recently visited a zoo in Sydney, Australia on koala weigh-in day! Every koala in the compound had to be weighed-in. They had a clever system. They hung a branch from a hanging scale, gently removed the koala from his or her perch in a gum tree, and transferred each one individually to the hanging branch. They then carefully recorded the weights (minus the branch of course) to track the growth and well-being of their koalas! 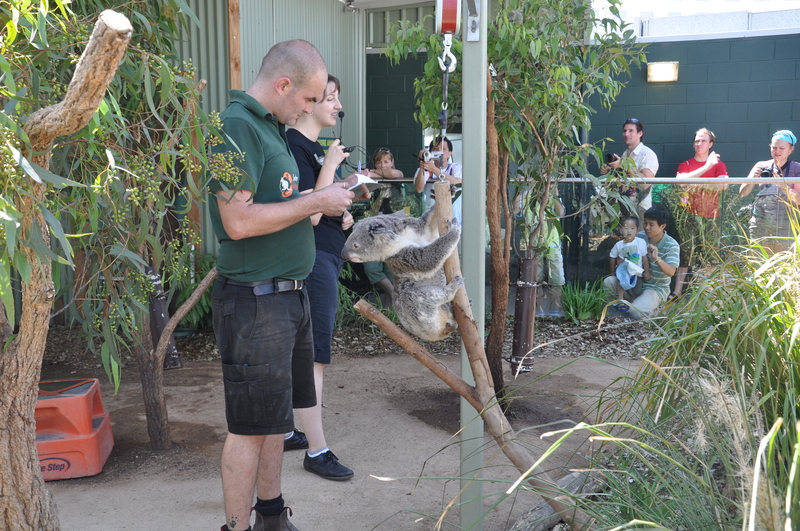 The koala-keepers looked pleased with the results and the koalas all looked happy when the procedure was over!